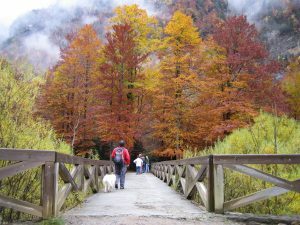 The region of Sobrarbe has 2200 kilometres of surface to be discovered, land of contrasts with a National Park and two nature parks, as well as other figures for the protection of its territory, which demonstrates the high natural value of the region, that difference to other territories Sobrarbe, is the landscape diversity that we enjoy, from large glaciers and cut to canyons and ravines, endless waterfalls, areas of forest, beautiful meadows, trails, living rivers, lakes and magical gorgas, caves and mountains covered with fossils, valleys up to more Mediterranean sprinkled by multiple towns and villages that comfort unique landscapes. 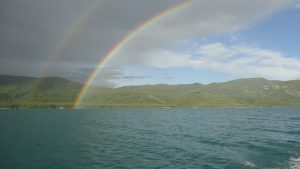 Your visit to these lands requires a plan to be able to enjoy during your stay all thatgives this region, this single will be able to enjoy a small part of the territory, enough to definitely get hooked by its beauty, purity and serenity. 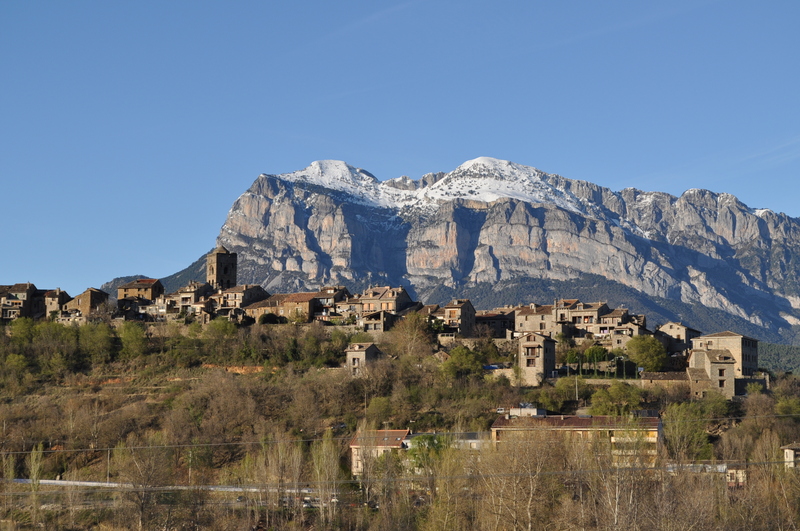 Visit the National Park of Ordesa and Monte Perdido, the limestone massif more high in Europe, is part of the reserve of the biosphere “Ordesa-Vignemale” and together with the French side of the Pyrenees glaciers, has been stated as world heritageof humanity by UNESCO. 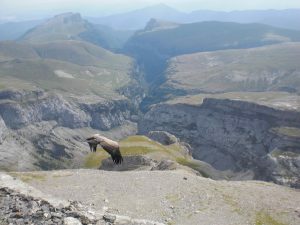 The Park comprises the valleys of Ordesa, Pineta, Añisclo and Escuaín and any of these valleys require a daily visit. 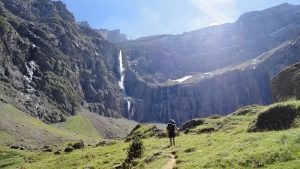 If you decide on the Ordesa Valley, the horsetail waterfall or the steps of Soaso will surprise you. Second day: enjoy the Pineta Valley, which includes the glacier of Monte Perdido, pine forests and beech trees, waterfalls, ravines and fauna (Chamois, marmots, bearded vulture, Griffon Vulture, Golden Eagle) and flora (purple campanula, Lady zapatito) spectacular, passing can visit the Municipal Museum of Ethnology and the municipality of Bielsa. Take advantage of this day to also know the impressive circus of Barrosa, Lalarri, Liena from Chisagues mines, or the Lake of Urdiceto among others. Third day: meet the Valley and the Gorges of Escuaín and the Añisclo Canyon where take place the Yaga and beautiful rivers in a spectacular orography that immerses you in a land of unimaginable beauty. Leave the vehicle in the parking area and come strolling through the great cut of the Añisclo Canyon to San Urbez. From this area by the highway you can follow and know the towns of Fanlo and Nerin and get on the bus adapted to the terrain, to the balcony where you can enjoy a stunning view of Monte Perdido, cylinder and Soum de Ramon. 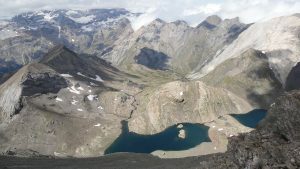 Fourth day: get close to the natural park Posets Maladeta and delve into the heart of the unique Valley of Gistain, where the passage of time seems that it runs more slowly and enjoy of real territory, a valley in yes same beautiful where survive the latest extensions next to Monte Perdido of glaciers. Gistaín is the mirador de la Cruz of Puyadase with a magnificent view, the meadows of Viadós and their typical bordas, Basa de la Mora… areas that you should not miss. Fifth day: know the Valley of Puértolas and Tella. A zone where a world of beliefs and mythology around giants, witches, superstitions and myths follows refugee. In Tella, you can enjoy a walk by the route of the Romanesque hermitages and supplement it with the visit to the visitor center and the Museum of the cave bear. Don’t forget to make a stop at the famous Dolmen de Tella and visit the cave of the cavebear. It is worth reaching Revilla, natural paradise where the bearded vulture lives and that it is easy to spot. On your return, enjoy a swim in the waters of the river Cinca, with direct access to bathing areas or approaching the Gorgas of the beautiful river to the height of Puyarruego, a unique experience. Sixth day: we go to France!, just 45 kilometers, we can cross to the neighboring country through the tunnel of Bielsa to get to know the other side of the Pyrenees by its north face with large contrasts with respect to the Spanish territory, visit the village of Saint Lary, typical French village with great charm, you can learn about its famous lakes and even enjoy a spa centre. A second option is approaching the city ofLourdes, Sanctuary of worldwide pilgrimage and enjoy travel watching emblematic ports of the Tour de France. Seventh day: another very interesting proposal is a visit to the Natural Park of the canyons and Sierra de Guara whose landscape values are the result of fluvial erosion that has resulted in spectacular canyons, mallos, quarries and cavities. Area very requested by canyoning adventure companies, can make this activity here. Enjoy a small tour to the caves with cave paintings and get close to the beautiful village of Alquézar, where you can also enjoy a natural area of bath in the salto de Bierge. On your way back two mandatory stops, in Colungo to know the interpretation centre dedicated to the rock art and in Lecina, to see the impressive “oak ancient”, an immense copy of 600 m2. 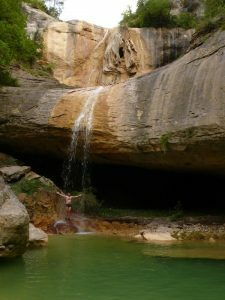 Eighth day: another attractive option is a visit to the Bujaruelo Valley where water is always present as well in the Ordesa National Park, jumping in the form of waterfalls and ravines. 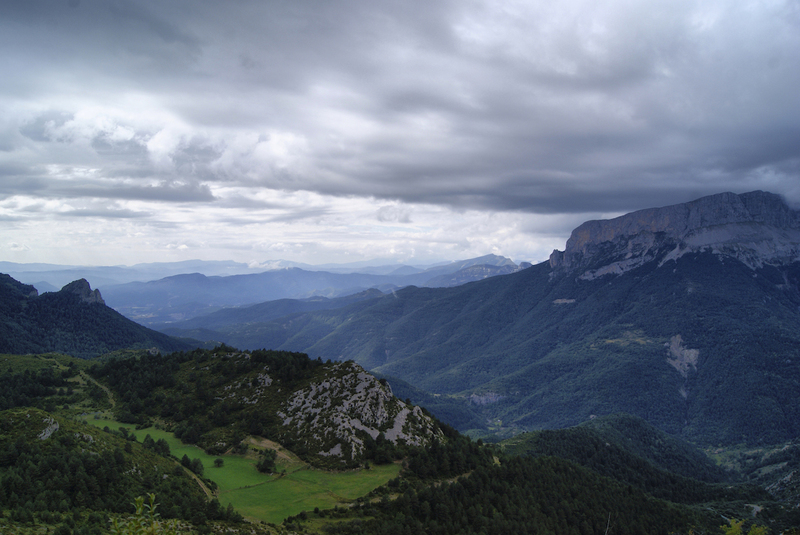 The Vignemale presides over this Valley and is declared “Reserve of the biosphere”. You can visit the remains of the chapel of San Nicolas next to thebridge of the same name and for the most daring, climb the Bujaruelo port and enjoy the Cirque de Gavarnie. Highly recommended area for the activity of rafting between the towns of Torla and Broto. On your return you can visit several of the towns that make up the Ara Valley as Janovas or la Solana, villages abandoned in the 1960s before the imminent creation of the Marsh that was never, or make a stop in the town of Boltaña and visit its old town, also again along the river Ara, find natural bathing areas as the gorgas of Balupor. Ninth day: Miss Biello Sobrarbe and enjoy the geological heritage of the Sobrarbe. In any of the excursions in this area that you practice, iras “stepping on” fossil remains, go to the paleontological museum of La Mata, the watchtower of Abizanda, Church Olson declared an artistic historic monument and known in the region as “The Cathedral of Sobrarbe”, the sanctuary of Santa Maria of the walnut, as well as the Romanesque churches of Santa María de Buil , Latorrecilla and Guaso, and place yourself in the center of the Guaso esconjudadero to ward off storms. Admired from thetop of the tozal, magnificent them views from the banks of the Ara which runs fromBoltaña to Ainsa. On the way back, you can find some poza at the Río Ena end a pleasantly this journey. San Juan de Toledo and his Church of Lombard Romanesque style and La Fuensanta in Laspuña. Must-see is the monastery of San Victorian, the most ancient ofSpain, was for a Millennium the cultural and spiritual centre of the Sobrarbe and ifwe continue in this area come to the chapel of the Los. If you are strong, amounts to the Peña Montañesa, the award is priceless, much of the region of Sobrarbe–stunning views. On your return, enjoy a dip in the warm waters of the Nata River passing through Arro. Eleventh day: again Sobrarbe returns to surprise us with the stamp of la Fueva del Valle. The area with the largest plain of the region, this town has more than 20 centers distributed throughout the Valley. Get close to the medium to observe the swamp that never ends meet its Tower, enjoy a canoe ride through its calm waters, or if you prefer we advise you to travel the entremon that begins in the town of Ligüerre de Cinca, passes by the medium dam and ends in the town of Palo. Other important points to visit in this Valley, Church and castles in Samitier, the fortified village of Roda, defensive wall, is a walled enclosure of the 12th century and is listed as a national historic landmark. The Church of Troncedo.